Does Your Audio System Need a Boost? There are a few different schools of thought when it comes to audio systems. Some folks buy a system they like and keep it for 10 or 15 years and never think to upgrade at all. After all, if you already have a collection of vinyl records and CDs, a turntable, a receiver or integrated amp, why change? Many people don’t upgrade something in their system until it breaks, or until there’s something really new that they want or need. Often that change is driven by the emergence of new music formats and services, like high-resolution audio and streaming. Then there are the audiophiles; people who love high-quality audio and want to hear every detail and nuance of their music. Audiophiles are always searching for new equipment that can deliver that last bit of detail. They like the subtle variations that different electronics and speakers (and combinations of them) can bring to their favorite music. Audiophiles are always looking for a sound quality upgrade and enjoy the journey to audio nirvana. Whether you are a more casual enthusiast that enjoys music or a true audiophile, we’d like to give you a few ideas to treat yourself to an audio upgrade. Music streaming and high-resolution audio have been breathing new life into high-end audio, marrying the convenience of digital music with high sound quality. Ready for some new high-end audio gear for your listening room? Read on to learn more. While the best speakers are supposed to play music as the artist intended, the reality is they don’t all sound completely alike. There are different driver materials and designs, and there are 2, 3, and 4-way speaker architectures. Cabinet styles and materials vary, and some models are active (they have their own amplifiers built-in) or passive (they need external amplification). 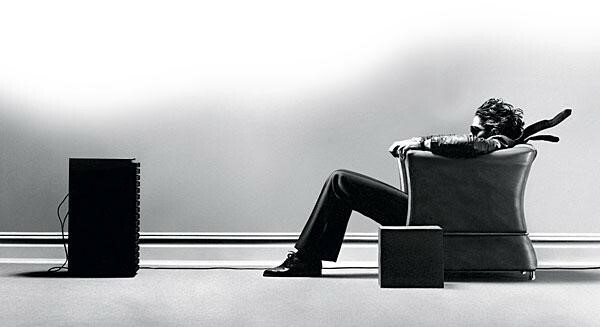 If you’re an audiophile, you likely know these things and much more. If you’re a more casual user, it’s a good idea to listen to your favorite music and see what you like – you may be surprised at what you’ve been missing from your existing setup. We carry speakers from the finest brands in audio – Bowers & Wilkins (B&W), KEF, Golden Ear, Martin Logan, and more. At the high end of their product ranges, all these manufacturers have signature features – concentric driver design for KEF, exotic driver materials like Kevlar for B&W, powered subwoofers for deep bass in Golder Ear’s Triton towers, and Martin Logan’s electrostatic designs. These design and material differences manifest themselves subtly in their sound. Depending on your choice of music you may prefer one over the other. If you haven’t heard some of the latest models from these brands, you might just be blown away – just like in the iconic Maxell Ad from the 1980s. DACs are Digital to Analog Converters. These electronic chips are undergoing continuous improvement to extract every last ounce of dynamic range from digital music tracks. Audiophiles often prefer the sound of one DAC over another, and there are both separate external DACs and those that are built into most audio components. The latest feature of DACs is the ability to decode high-resolution music formats. We could write multiple articles about DACs and the nuanced differences between them, but there are simple ways to take advantage of state-of-the-art streaming and digital music features available to you. One such component is McIntosh’s MS500 Music Streamer, which plays high-resolution music sources from hard drives or your computer. It even synchronizes your library with cloud storage like iCloud or Google Drive. 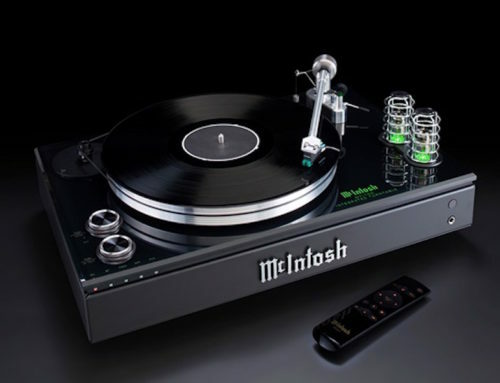 The MS500 streams from services like Tidal and Spotify and is engineered to McIntosh’s audiophile-quality standards. This is the type of product that serves as your hi-fi music hub, marrying the convenience of easily accessible digital music libraries and streaming with hi-fi sound and top-end build quality. The last upgrade that will make a huge difference in your home audio experience is not an audio component at all – it’s the listening room itself. Entertainment Technologies has an acoustically treated listening room in our showroom that is free of echoes and reflections, to let you fully appreciate the differences between audio speakers and components. If you have dedicated room – or perhaps a listening room that is used for other purposes – we can evaluate it and give it similar treatment to ensure you get the most out of your high-end audio investment. Are you ready for your audio upgrade? Visit out listening room, give us a call, or fill out our online contact form to schedule an appointment with one of our audio experts. We look forward to serving you. So You Didn’t Give Your Audiophile A Dream High-End Audio Rig for Valentines’ Day?